Ariah (UK) Limited specialises in conservatory cleaning, repair and maintenance in Kent and the surrounding counties including Sussex and Essex. We offer a number of conservatory maintenance services from cleaning, solar inserts and solar film to repair and replacement of glass. We will get your conservatory looking brand new again. 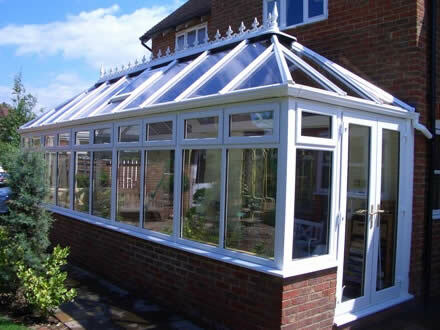 For more information regarding our specialist conservatory repair services, please click on the links below or on the drop down bar labeled Show menu to load the relevant information. Conservatory Medic is located in Medway, Kent and our services are available throughout Sussex, Essex and South London. For a FREE conservatory inspection and quotation in Kent and some surrounding areas, get in touch today. Alternatively, if you do not live in these areas, we can send you a quote online if you can provide the relevant information and pictures. So whether you are looking for conservatory repair, conservatory cleaning or something else, let our skilled technicians help. All inspections and quotes are carried out by our experienced technicians to give you an accurate price. 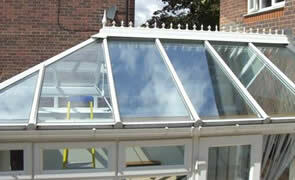 Conservatory Medic offer conservatory maintenance / repairs in and around Kent. We can repair, replace and maintain your conservatory and are able to do everything from replacing a leaking gutter to fitting an entirely new conservatory roof. Reduce heat, UV and glare by up to 85% with solar film window film for glass roofs and side windows fitted by Conservatory Medic . Cheaper than blinds and AC, plus It really works! Why not find out for yourself? 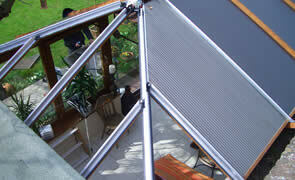 Conservatory Medic can install solar Inserts for polycarbonate conservatory roofs. 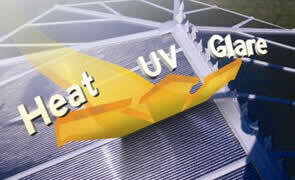 These inserts help to reduce heat, UV and glare by up to 85%! Installation by our team will be done quicker and more accurately than DIY. © Copyright 2019 Conservatory Medic. All rights reserved.